"Alumni gush over these onesies. The Denison Kids Onesie 100% Denison Fan displays the text ""50% Mom + 50% Dad = 100% D FAN."" These are mainly cotton in origin so you might want to size up (as kids grow quickly) or not put through the drier the first couple of times so it does not shrink. 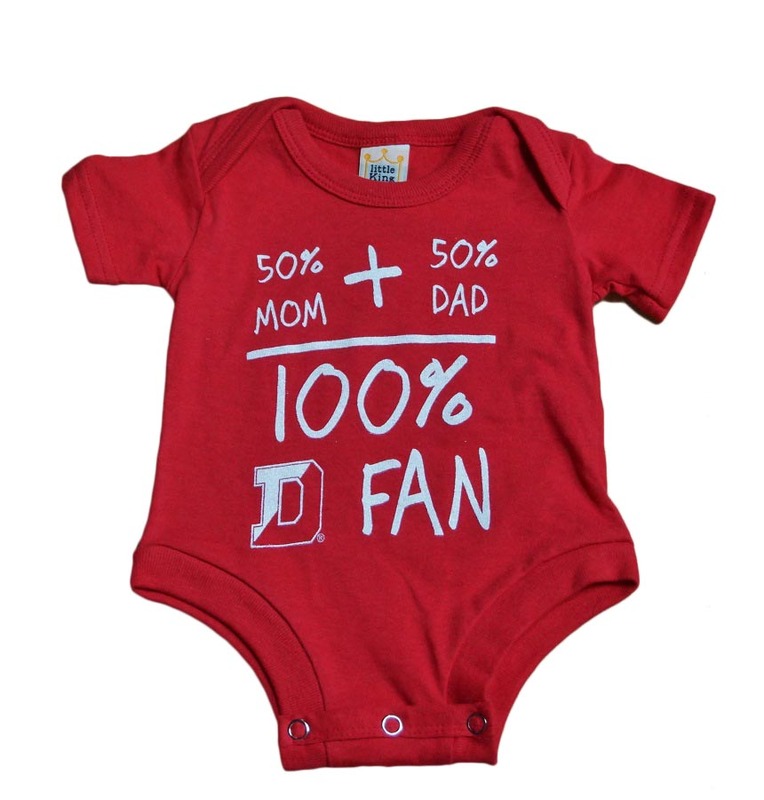 These make the perfect gift for almost any alumni or family from Denison expecting a child. They are even better for two alumni parents expecting another Denison student.